Unidentified gunmen have opened fire on a children's camp in Aktobe, Kazakhstan, a western town that recently suffered an extremist attack that claimed lives of six people. A sting operation has been underway to identify the criminals. 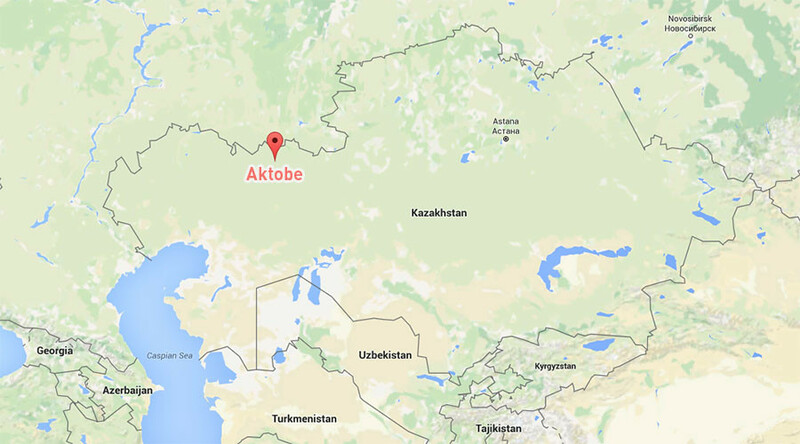 “Gunfire was opened on security guards of kid’s summer camp [in Aktobe]. Shotgun fire was delivered from a white car,” president’s press-service cited the head of the National Security Committee of Kazakhstan, Vladimir Zhumakanov. The incident took place Wednesday morning at around 8 am (02:00 GMT). The Kazakh Interior Ministry has not confirmed whether security personnel at the children’s camp were shot at. “Information about gunfire at the kid’s camp has been looked into, but couldn’t be confirmed,” Interior Ministry spokesman Almas Sabudaev told the Interfax-Kazakhstan news agency. Zhumakanov revealed the recent attack while meeting President Nursultan Nazarbaev. He also reported on the investigation of a recent extremist attack in the same area last week. On June 5, two gun shops were robbed, a bus was hijacked and a military base in Aktobe came under a violent attack. The group consisted of local Islamists, who killed seven people, including three soldiers in a fierce shootout on the military compound’s territory, and wounded 37 people, most of them servicemen. Police killed 13 assailants and arrested nine more. The manhunt for at least six more suspects continues outside the Kazakh city of Aktobe. “We know who they are and that they remain in the region, the citizens have been warned,” President Nazarbaev said. “We’ve got to capture them all. They must be punished in the most severe way,” he said, stressing that if they offer armed resistance the extremists would be eliminated. Security services in Kazakhstan are to remain on alert for at least 40 days.